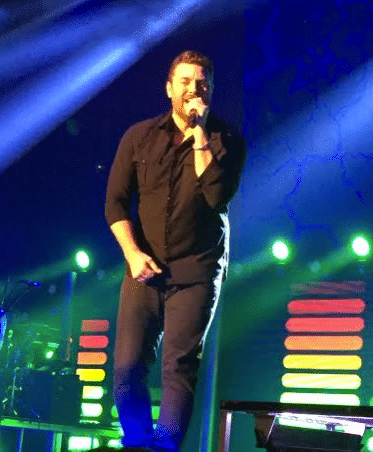 When Chris Young decided to kick off the U.S. leg of his I’m Comin’ Over Tour at Ascend Amphitheater in Nashville, Tennessee, the chart-topping Sony artist was on to something special. 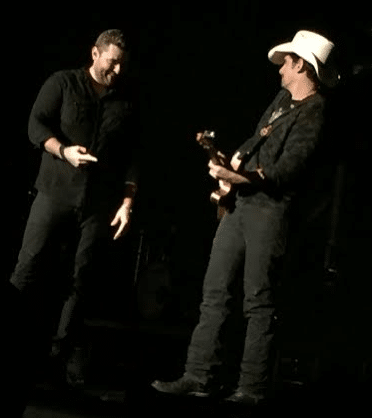 And, while fans knew the show would be absolutely magical, Chris (and opening acts Cam and Jerrod Niemann) exceeded expectations, adding adjectives like unforgettable and monumental to the descriptive list. Cam and her sunny disposition and wardrobe were first to the stage, blowing ticket holders away with her radio singles “Burning House” and “My Mistake,” of course, but the blonde bombshell didn’t stop there. Explaining, quite simply, that “Country Ain’t Pretty,” Cam showed off her sassy personality and her ability to mesh nicely with the good ol’ boys club of country music, even dropping an expletive in for good measure. Clad in bright yellow heels and carrying a yellow tambourine, Cam danced around the stage, exuding an undeniable sense of happiness to be spending her evening before a Music City crowd. As the newest artist on the bill, it is safe to say that Cam will feel the love across the United States, despite her young career, as country music fans have taken to her immediately, even singing every word of each song along with the spunky and energetic artist. Jerrod Niemann was next to the stage, truly taking on the role of the hype man who is ready to get the party started. Raising his drink up on many occasions, Jerrod explosively performed his catalog, including “The Buckin’ Song,” “One More Drinkin’ Song,” “What Do You Want,” “Lover, Lover,” “Drink to That All Night,” “Donkey,” and current rising song “Blue Bandana.” Surprising the fans, Jerrod also brought out hit-making group Diamond Rio to perform a song with him; one which will appear on the band’s new record (video of the performance will be posted in a separate article). 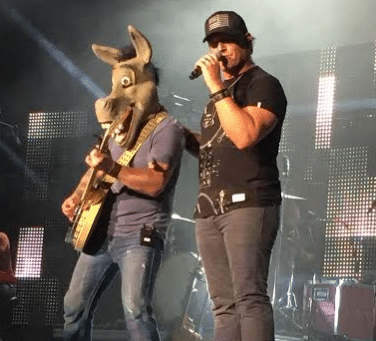 Jerrod not only possesses innate musical abilities, ranging from guitar playing skills to his vocal prowess, but his band is inarguably one of the most talented groups of musicians to share a stage with one another. The second performer of the evening and the men with whom he is surrounded prepared the crowd for the party the headliner had in store, and future I’m Comin’ Over Tour attendees will certainly echo this sentiment. 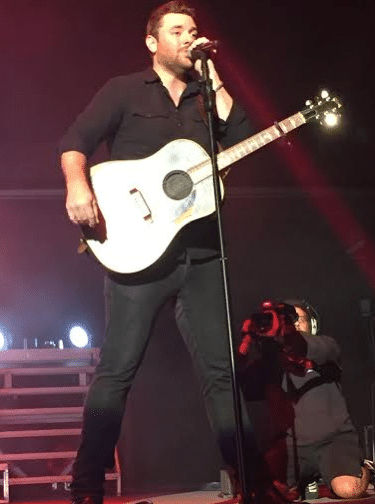 Headlining act Chris Young took the Ascend Amphitheater stage and stood before a sea of thousands who braved the ongoing misty rain falling out of the Nashville sky on a cool Fall evening. Chris tore through his hits one after the other, enjoying a never-ending sing along of “Gettin’ You Home,” “Voices,” “Lonely Eyes,” “Who I Am with You,” “Take It From There,” “I’m Comin’ Over,” “Tomorrow,” and many more. Most evident about Chris’s time on the stage before his hometown crowd at a venue only 4.8 miles from where he first began singing at a Mexican restaurant, is the deep-rooted, pure love he feels for performing for his fans. While shining on stage during his U.S. I’m Comin’ Over Tour kickoff, Chris related to fans, making eye contact and camera contact with anybody and every body as he scanned the crowd. Showing off his personality, which many artists have discussed as being one of the best in the bunch, Chris stopped performing mid-song during “Take It From There” to lecture his audience about the importance of the iconic Conway Twitty. Refusing to allow his fans to react in any way other than extreme excitement at the mention of the legend’s name, Chris encouraged everyone to download Conway Twitty’s Greatest Hits when they get home, teasing that if a guy can’t “close” after playing that music, he has no hope. He then sang the second verse of his hit song again, requiring an uproar when his idol’s name was said. This moment was not the only one during which Chris exemplified his sweet and warm persona. He also humbly thanked his fans on several occasions for allowing him to live his dreams and helping him enjoy musical successes, sharing that he had just received a gold certification plaque for “I’m Comin’ Over.” Chris also stopped mid in his tracks on gold certified “You,” honestly admitting his fears regarding the high notes in the song, but promising to always strive to hit them for his fans, even if it means going through puberty — again. For those who are currently holding tickets to Chris Young’s I’m Comin’ Over Tour, expect an appreciative, fan-focused man with a beautiful voice, spectacular rapport with band members, and set list that will leave you wanting for nothing. We couldn’t have asked for a better show for our first Ascend Amphitheater experience, and we thank Sony for its amazing hospitality, as well as Chris Young, Jerrod Niemann, Cam, Brad Paisley, and Diamond Rio for a star-studded night of immeasurable talent. I still say Blake Shelton should have Chris Young on the voice. What a Big Star he has become. 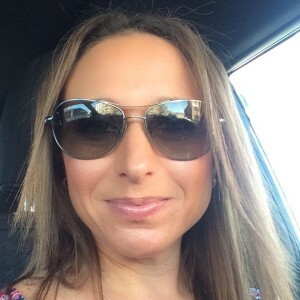 I’ve been listening to Cam and think she has a wonderful country voice. Think we will be hearing much more music from her. Nashville must be the place to go during the week if you want some good music. Saw pictures posted of Miranda Lambert the last few evening singing in random bars. Gosh why go pay the high price for concert tickets when you catch can the country’s, something like 5 times CMA female vocalist for free.